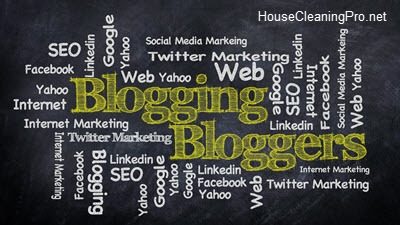 Do You Need a Blog for Your Home Cleaning Business? 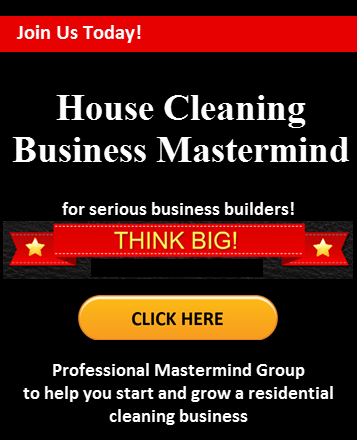 You are here: Home / Technology / Do You Need a Blog or Website for Your Home Cleaning Business? Every business needs a website today, but do they also need a blog? No, but you would be missing out on organic traffic from the search engines and the opportunity to reach out to your community. Adding a blog to an existing website is easy if you have used a blogging platform like WordPress or Blogger. Blog posts give you a way to share information that would be of interest to your clients, such as cleaning and family oriented topics. 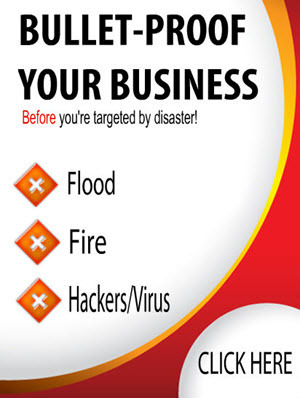 This gives people in your community a reason to come to your website. 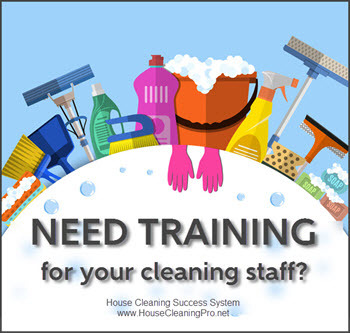 Once you have gained their trust, they will remember you when they need a cleaning service. When you build your website with blogging software like WordPress, it’s easy to add a blog! Social media platforms such as Facebook and Twitter are great for creating a community and staying in contact with your people, but there’s one big problem – it’s not actually your platform. You have to abide by the social media site’s rules and if they should change their service or pull the plug, you may lose everything. When you nurture this group through your own blog, you’re in total control. It’s a much safer platform for building a community. Blogs that build communities are those that are as unique and narrow as possible. They don’t try to appeal to everyone. When a reader feels that this is just the blog they’ve been looking for and that it speaks directly to them, it creates a deeper, closer bond between all your readers. Don’t be afraid to narrow your blog’s focus. People feel a part of something when they can participate so give them many opportunities and encourage them to do so. Write posts with commenting in mind. Ask questions at the end of your posts to start discussions. Encourage your readers to share their opinions or views. It can even be good to stir up some controversy and get a friendly debate going. Wherever possible, get to know your readers personally and talk to them. Respond to all comments and emails that come through your blog. A great way to engage with your readers outside your blog is through online webinars or the Facebook Live feature. This allows you to come into direct contact with your readers and get discussions going with them. They’ll feel that you’re more accessible and this creates a stronger bond. From time to time, ask your readers how you’re doing or how you can help them. This not only shows that you care, but also can help you to customize your blog even better based on their feedback. Pay attention to analytics that tell you what they’re reading, sharing and enjoying. It’s often said in the world of marketing that it’s not writing but listening that builds a brand. Encourage your readers to share your posts. Put social media buttons on your posts so that they can do so with just one click. This gets your readers involved across multiple platforms and it also helps you get more exposure (and more readers). Your readers will connect with you because your blog helps them in some way. They’ll also feel closer to you when they can relate to you as a human being. Although your blog may be fundamentally professional, allow your personal side to come through as well. 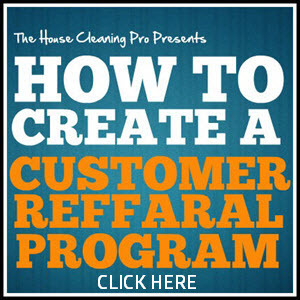 Then you’ll be gaining friends and advocates in addition to readers and customers. Sometimes it’s good to give your readers something free to say “thanks” for staying tuned for so long. Freebies can be digital products, exclusive content, or other things that cost you nothing or nearly nothing to produce. When you’re generous it shows that you’re not just after their money and traffic. It’s not easy to build a community and it takes time, but keep working at it. If you keep producing valuable content and listening to your readers, you’ll eventually have a community based around your blog that no one else has control over but you. We include a free website using WordPress when you purchase our Business-in-a-Box! You can view our sample website here. Nice article.. Like to read it! !